Robert J. Gussman Jr, 46 years of age, Address-Aucoin St. Morgan City, La. was arrested on 02/08/2019 @ 11:47 pm. Tiffany N. Chauvin, 35 years of age, Address-Aucoin St. Morgan City, La. was arrested on 02/08/2019 @ 11:47 pm. Officer responded to a residence on Aucoin St. for a disturbance where Robert Gussman and Tiffany Chauvin were identified as suspects. Both were yelling and using profanities. Gussman and Chauvin were placed under arrest and transported to the Morgan City Police Department for booking and incarceration. Varice K. Richardson, 25 years of age, Address-Friendship Alley Amelia, La. was arrested on 02/08/2019 @ 12:21 pm. Varice Richardson was transported for the St. Mary Parish Law Enforcement Center to the Morgan City Police Department for active warrants he held for the 6th Ward City Court. Richardson was booked and incarcerated. Chad M. Carmouche, 39 years of age, Second St. Morgan City, La. was arrested on 02/08/2019 @ 2:49 am. Officers responded to a local motel on Brashear Ave. for a possible stolen license plate on a vehicle. The vehicle was located and found that the plate was stolen. The owner was located and identified as Chad Carmouche. Carmouche was placed under arrest and transported to the Morgan City Police Department for booking and incarceration. Emily M. Guidry, 18 years of age, Address-Swan Ave. Houma, La. was arrested on 02/08/2019 @ 5:08 pm. Zachary M. Cartolano, 23 years of age, Address- Camille St. Houma, La. was arrested on 02/08/2019 @ 5:08 pm. Emily Guidry was the driver involved in a traffic stop for no turn signal in the area of Onstead St. Guidry was found to be in possession of suspected marijuana and drug paraphernalia. The passenger in the vehicle, Zachary Cartolano held an active warrant for the Terrebonne Parish Sheriff’s Office. Both Guridry and Cartolano were placed under arrest and transported to the Morgan City Police Department for booking and incarceration. Agatha M. McCleary, 26 years of age, Address-Roderick St. Morgan City, La. was arrested on 02/08/2019 @ 9:01 pm. Lee M. Banicky, 29 year of age, Address-Roderick St. Morgan City, La. was arrested on 02/08/2019 @ 9:01 pm. Agatha McCleary was located at her residence on Roderick St. and placed under arrest for an active warrant she held for the 6th Ward City Court. Also, found in the residence was Lee Banicky. Banicky was in possession of suspected marijuana and drug paraphernalia McCleary and Banicky were transported to the Morgan City Police Department for booking and incarceration. Allen C. Lennep, 62 years of age, Address-Freret St. Morgan City, La. was arrested on 02/09/2019 @ 5:12 am. Officers responded to a residence on Barrow St. regarding a disturbance. When officers arrived, Allen Lennep was identified as the suspect in a battery. Lennep was located in the residence and placed under arrest. Lennep was transported to the Morgan City Police Department for booking and incarceration. Sharon L. Gier, 23 years of age, Address-Denham Springs, La. was arrested on 02/09/2019 @ 6:47 pm. Sharon Gier was the driver involved in a traffic stop in the area of Federal Ave. Gier was found to be in possession of suspected marijuana. Gier was placed under arrest and transported to the Morgan City Police Department for booking and incarceration. Chad A. Ross Jr, 25 years of age, Address-E. Garner St. Morgan City, La. was arrested on 02/09/2019 @ 7:49 pm. Officers responded to a residence on E. Garner St. regarding a domestic disturbance. Officers arrived and Chad Ross was identified as the suspect involved. Reports indicate Ross struck an individual with an object. Ross was placed under arrest and transported to the Morgan City Police Department for booking and incarceration. Carlos J. Johnson, 57 years of age, Address-Marshall St. Morgan City, La. was arrested on 02/09/2019 @ 11:43 pm. Teligia M. Busby, 53 years of age, Address-Marshall St. Morgan City, La. was arrested on 02/09/2019 @ 11:43 pm. Officers responded to a residence on Federal Ave. regarding a medical emergency. Officers arrived and made contact Carlos Johnson and Teligia Busby. Reports indicate that there was no medical emergency and information given was false. Johnson and Busby were also found to be in possession of suspected marijuana. Both were placed under arrest and transported to the Morgan City Police Department for booking and incarceration. David V. Santiago, 31 years of age, Address-Kileen, TX was arrested on 02/10/2019 @ 12:31 am. David Santiago was involved in vehicle crash in the area of LA Hwy 182 near Everett St. Reports indicate Santiago appeared intoxicated and did poorly on the Standardized Field Sobriety Test. He was also found to be in possession of a pill identified as oxycodone hydrochloride. Santiago was placed under arrest and transported to the Morgan City Police Department. At the department, Santiago submitted to the chemical test for intoxication and his results yielded a .245g% of blood alcohol content. Santiago was booked and incarcerated. Chad M. Hebert, 41 years of age, Address-Roderick St. Morgan City, La. was arrested on 02/10/2019 @ 11:37 am. Officers responded to a residence on Roderick St. regarding a disturbance. Officers arrived and Chad Hebert was identified as a suspect. Reports indicate that Herbert committed a battery on an individual. Hebert was located and placed under arrest. Hebert was transported to the Morgan City Police Department for booking and incarceration. Randy J. Segura, 32 years of age, Address-Glenwood St. Morgan City, La. was arrested on 02/10/2019 @ 11:38 pm. Randy Segura was located in the area of Second and Everett St. and placed under arrest for active warrants he held for the Morgan City Police Department. Segura was also had suspected marijuana in his possession. Segura was transported to the Morgan City Police Department for booking and incarceration. Tara L. Trahan, 38 years of age, Address-Susan Dr. Morgan City, La. was arrested on 02/10/2019 @ 5:04 pm. James R. Guerin Jr, 41 years of age, Address-LA Hwy 182 Patterson, La. was arrested on 02/10/2019 @ 5:04 pm. Officers responded to a residence on Fourth St. regarding possible trespassers on the property. Officers arrived and made contact with Tara Trahan and James Guerin. Information was received from the property owner that no one was allowed on the property. Both Trahan and Guerin were found to be in possession of drug paraphernalia. Guerin held active warrants for the 6th Ward City Court and Terrebonne Parish Sheriff’s Office. Both were placed under arrest and transported to the Morgan City Police Department for booking and incarceration. Jodi Charpentier, 34 years of age, Address-Gary St. Pierre Part, La. was arrested on 02/10/2019 @ 7:34 pm. Robert Wyatt, 32 years of age, Address-Ann St. Morgan City, La. was arrested on 02/10/2019 @ 7:34 pm. A traffic stop was done on a vehicle on Victor II Blvd. for swerving in and out of the lane of travel. The driver, Jodi Charpentier was asked to provide a valid driver’s license. A computer check determined that Charperier’s license was suspended. Also, the vehicle had no insurance. 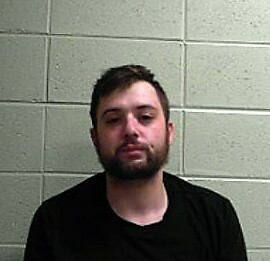 The passenger, Robert Wyatt was found to be in possession of suspected marijuana and drug paraphernalia. Both were placed under arrest and transported to the Morgan City Police Department for booking and incarceration. Jessie J. Grady, 43 year of age, Address-Two Brothers Lane Amelia, La. was arrested on 02/10/2019 @ 10:56 pm. Officers responded to a residence on Second St. regarding a disturbance. Jessie Grady was identified as the suspect. Reports indicate that Grady appeared intoxicated. Grady was placed under arrest and transported to the Morgan City Police Department for booking and incarceration. Kahnie Gaudet, 48 years of age, Address-Railroad Ave. Morgan City, La. was arrested on 02/09/2019 @ 12:29 am. Fred P. Kenner, 32 years of age, Address-Grace St. Morgan City, La was arrested on 02/09/2019 @ 2:18 am. Fred Kenner was located on Oriole St. and place under arrest for active warrant she held for the 6th Ward City Court. Kenner was transported to the Morgan City Police Department for booking and incarceration. De’arius D. Young, 19 years of age, Address-Eighth St. Morgan City, La. was arrested on 02/11/2019 @ 12:29 am. An officer conducted a traffic stop on a vehicle in the area of Sixth and Marguerite St. for swerving in and out the lane of travel. The driver, De’arius Young was asked to provide a valid driver’s license. Young was found to be in possession of suspected marijuana. Young was placed under arrest and transported to the Morgan City Police Department for booking and incarceration.